Desert Hills Men’s Golf Association (DHMGA) is dedicated to promoting, organizing and conducting competitive golf events for our members at Desert Hills Golf Course. We also promote the activities of the Desert Hills Women’s Golf Association and the Arizona Junior Golf Association program. 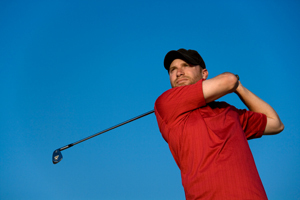 We are chartered by the Arizona Golf Association, and currently have 225 members. We are a non-profit club governed by a Constitution and By Laws, and exercised through a Board of Directors, elected annually by the membership. DHMGA activities center around 11 scheduled one-day tournaments, and one 2 day DHMGA Men’s Club Championship. We work with the course staff to maintain a current events calendar. Our club supports all golfers at Desert Hills by providing the means to access and maintain each golfer’s handicap through our KIOSK, located in the golf shop, which is linked to both the Arizona Golf Association and the Golf Handicap Information System(GHIN). This system enables members of other clubs throughout the United States to access and update their handicap record, provided their home club maintains handicaps through GHIN. Should you have difficulty signing up, Neely Cook would be happy to assist. He can be reached by phone at (928)580-3929 or by email at nhcook7@gmail.com. Membership fees are currently $40.00 per year (if paid by December 31) which includes the benefits of AGA membership and the ability to establish a handicap through GHIN. Applications are easy! Simply go to the AGA website, www.azgolf.org, and register as a first time user. Follow the prompts. New applications or renewals processed on or after January 1, 2018 will be charged $50.00. AGA members who pay dues to the AGA through another local club may contact one of our officers and pay $15.00 to join our club. You may email the Board directly to dickmcglothlin@aol.com.